Thanks for taking the time to visit my blog as well as your interest in potentially participating in discussion via the comments facility or even getting in touch with me. For the sake of myself and readers of my site, I’ve had to put guidelines in place to ensure that the tone of the site remains intact, that people can find the information that they’re looking for without being distracted by inappropriate comments, and also that when a discussion is engaged in, that there are boundaries in place to ensure that there are limits to what will be tolerated and that it ultimately remains on topic. NB: I don’t moderate comments any longer. This means that 99% of the time, comments appear automatically. I use a service called Cloudflare which protects the site, or at least attempts to, from hacks. Very occasionally, it is overzealous in filtering traffic. It’s robots, not humans so there’s always a margin for error. 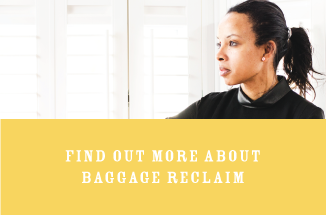 If you have received a block message, email natalie AT baggagereclaim.co.uk and I will have it corrected. For clarification, which you can read further about on my ‘about’ page or details about working with me privately, it is important to note that I’m not a doctor anything and Baggage Reclaim, in terms of the content that I have written, reflects my views only and isn’t a replacement or substitute for professional advice, including but not limited to medical or psychological advice. Full disclaimer. If for some reason you don’t like what I write, the opinions I express, that’s fine. There are a gazillion sites online for you to choose from and I’ve found that we vibe with the content that suits us. I appreciate you stopping by my site but please feel free to go elsewhere instead of posting nasty comments (they won’t be published anyway), or sending offensive emails. I’m OK with criticism but what I’m not OK with, is you crossing the line whether that’s making accusations or assertions you can’t back up, being nasty, or telling me how to run my site. Equally it’s OK for you to disagree with something that a reader has expressed in the comments but be respectful. Baggage Reclaim operates a zero tolerance attitude towards people that misuse the site. This means that clear misuse will result in the IP address being blocked and the misuse being reported to the ISP in question, plus anything of a serious nature will be referred to the police. I welcome comments from readers and the facility exists for commenting on the article in question. Don’t be random, don’t go off-topic. All comments are solely the opinions of the individuals submitting them and the publication of them on baggagereclaim.co.uk(.com) does not imply endorsement or agreement by me or the site. For clarification, off-topic means that your comment doesn’t directly relate to the subject of the post. This also covers comments that are like personal conversations between you and another reader which distract from the thread and potentially make it difficult for someone to feel that they can comment. It also covers you just sounding off as if you’re just spewing your thoughts wherever you land. Want to troubleshoot why yours hasn’t appeared? Check out the commenting FAQ. 1. Please be fair while commenting. Don’t be aggressive towards other commenters or the author of the post. 2. The commenting facility is to comment about the subject of the post. If you respond to comments, stick to the subject matter. If you post a comment, please ensure that it is about the subject matter of the post. If you behave like this is a forum even though it’s not, it’s like basically showing up and loitering all over the ‘property’ putting your feet up on my coffee table and having random conversations while everyone else is having a focused discussion. This also means that comments where you demand that people reply to you or direct them to reply to all of their replies or where you basically imply or state that the person should comment and use the site in a manner that’s reflective of a forum, won’t be approved. 3. Don’t post anything that you’re not prepared to hear an opposing opinion on or that you’re not prepared to hear something that doesn’t fit with your predetermined idea of what you want to hear. 4. Please refrain from making comments of a racist, prejudiced, or hateful nature. This is not the place to be making your views known about race, religion, skin colour or pretty much anything that can be deemed as defamatory. Please also don’t post comments and links of a violent or pornographic nature. Comments encouraging discussion about vengeful and even violent revenge acts will not be posted. 5. Spam is unacceptable. Please don’t use my commenting facility to promote you or your business/site etc. The link should be placed in the comments form where it’s indicated, not inside the comment itself. If you are posting links to external content, this can not be for promotional purposes no matter how much you try to disguise it and you are responsible for what you link to. Anything that has even a whiff of advertising (or spam) about it will be deleted or even added to the spam filter. 6. Libelous personal information must not be published anywhere on this site, including the comments box. Remember, I am based in the UK so please respect the laws. Don’t post copyrighted information and please ensure that the source is referenced if you quote and make sure that it’s a short quote/excerpt – respect the work of content creators! 7. I’m not going to publish hostile comments which basically cross the line from being an opinion to a personal attack. If you can’t respectfully disagree, don’t comment. 8. It is the right of people that read this site to be able to comment freely and to leave their blog address if they so wish. It is unacceptable to leave this site and go to their blog to harass them. 9. It is a clear misuse of the site when someone uses multiple guises to comment under various names. 10. I reserve the right to withdraw or keep a comment on the site and my decision is final. All comments are the property of Baggage Reclaim. You put it in the system, you gave it to me. (Thanks!) I will not delete comments at anyone’s request and ultimately it is my decision to do so. Still got a query about comments or want to troubleshoot why yours hasn’t appeared? Check out the commenting FAQ. IP addresses are shown in the tracking statistics which tell me how many visitors the site is getting and how many pages are being read on the site. This also means that it clearly identifies users of the site that seek to misuse. An IP address will be monitored if there appears to be suspicious activity. – Malicious clicking on pages.